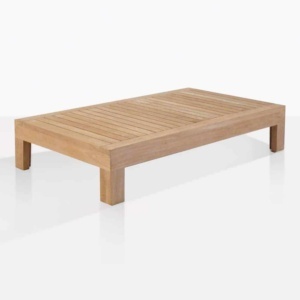 The Cabo Left-Arm Teak Daybed is a sectional furniture piece that urges you to sprawl out, take a break and rejoice in your surroundings. 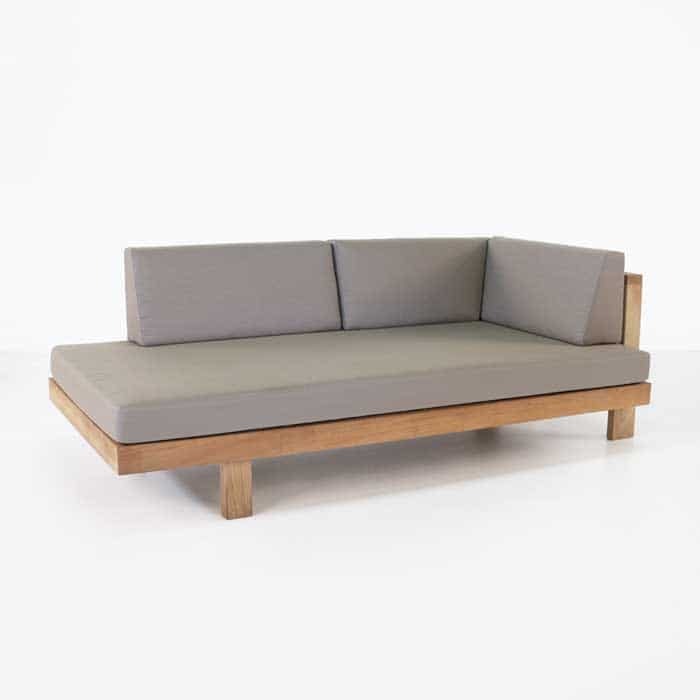 A crucial part of our Cabo Collection, the Daybed and its family are inspired by the tranquil environment of holiday destinations like Cabo San Lucas. The character of this piece is determined by its strong, clean lines, angular features and deep seating you just want to dive into! All features that make this collection a true modern classic. 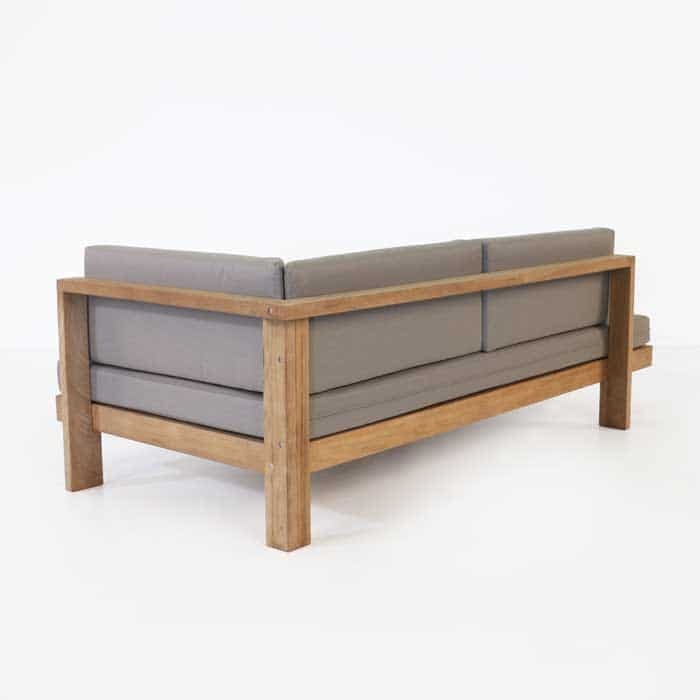 The comrade of our Cabo Right Daybed, this piece is a low-lying, wide and deep sectional that’s many uses keep it in the running for ‘Most Popular and Versatile Daybed at Design Warehouse!’ With a width of 203 cm and depth of 107 cm and low height of just 76 centimetres; the Cabo Left Armed Daybed invites you to sit out and take in the sunset, lie down on a warm day, or cozy up on those chilly New Zealand nights! 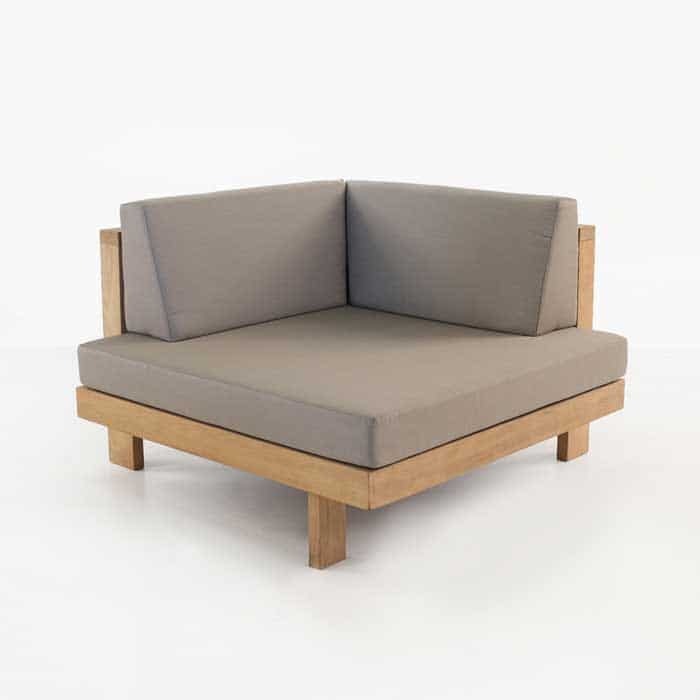 Constructed of a slim angular frame, with a large platform at its base and all made from quality Grade A Teak and marine grade fixings, the left-armed Cabo Daybed is topped off with cushions made of the World’s best selling outdoor fabric: Sunbrella®. 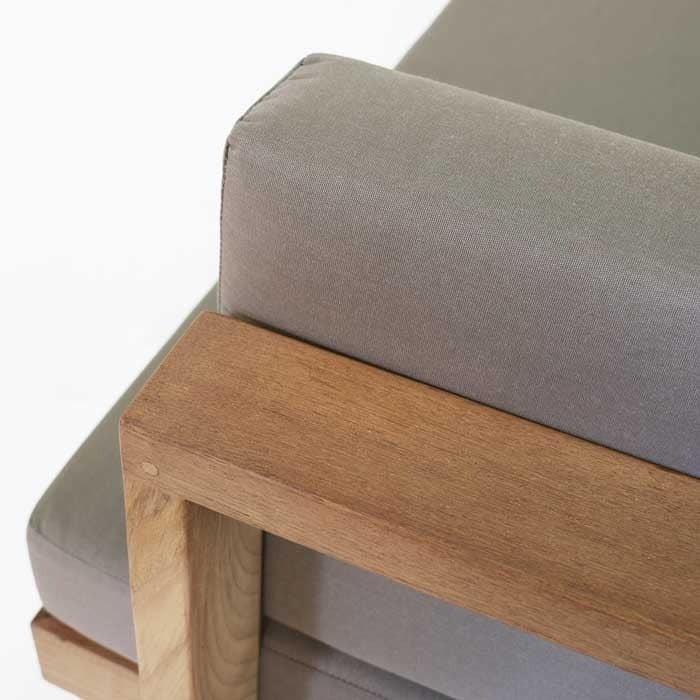 Customize your space with a choice of colours: Taupe and Canvas. 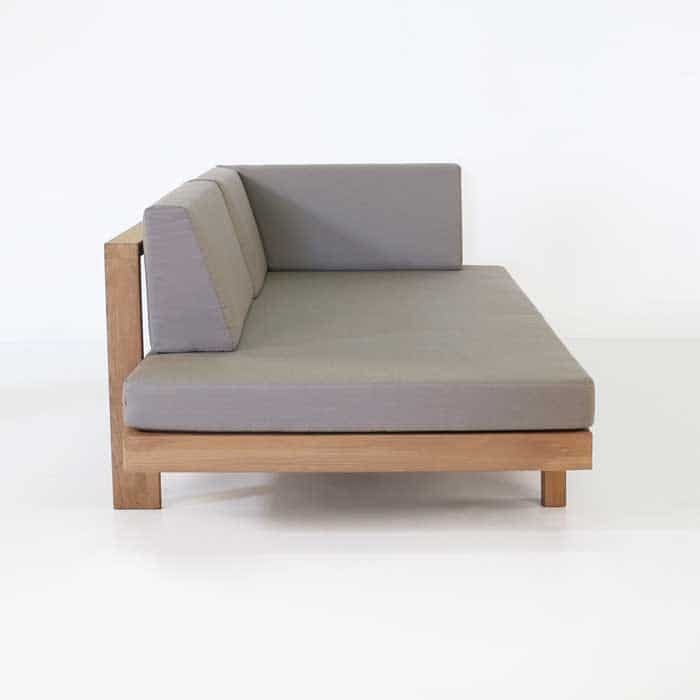 Team up with a Cabo Right Armed Daybed to create an elegant long sofa, or place against a wall for a peaceful corner of comfort. 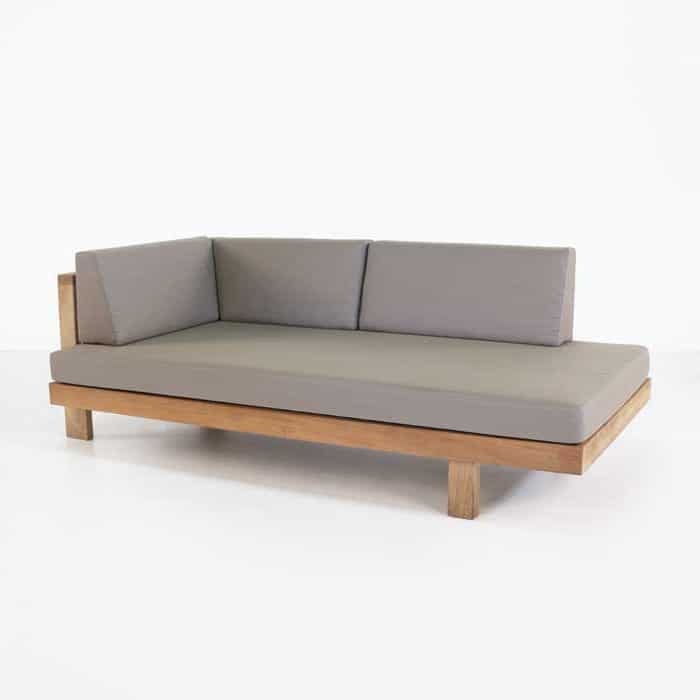 FREE Sunbrella® cushions with every piece of Deep Seating!